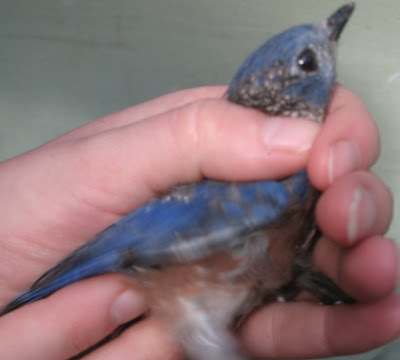 Taking Flight: Eastern Bluebirds, Cedar Waxwings, Amercian Robins and Eastern Phoebe all Released Today! 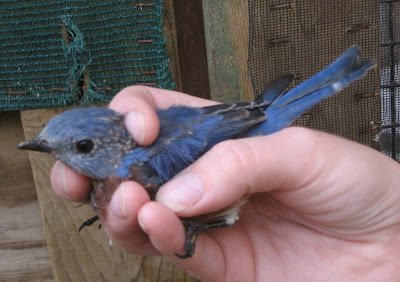 Eastern Bluebirds, Cedar Waxwings, Amercian Robins and Eastern Phoebe all Released Today! It was another exciting release day here at REGI. 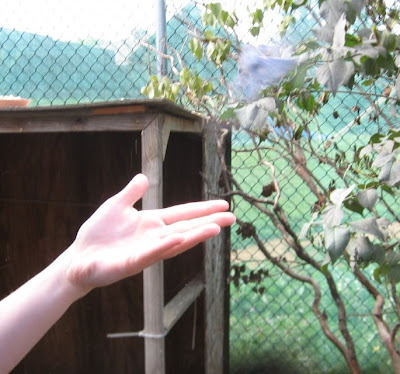 All of the birds released today were raised at REGI. They all came in as hatchlings. If you follow the blog you have likely seen photos of these youngsters when they were much younger. Their stories were as different as they species when admitted. But today they were all celebrating the same stage of their life, becoming truly wild birds. Getting photos of the smaller passerine birds is not an easy task. The birds released today have not had human contact other than staff throwing in worms, other food items and water for weeks now. They avoid any contact with humans. They seemed particularly unhappy with attempts to get them to stay still enough for photos. 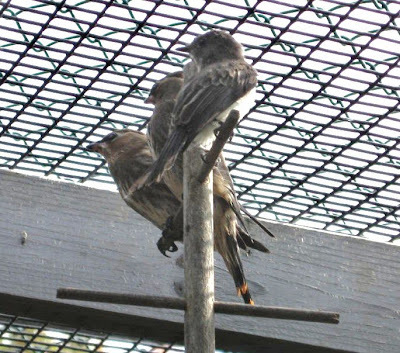 That is a good thing however and exactly what we want for the birds going back to the wild. The youngsters were released in a manner called a "soft hack". That means they are in a protected area if they chose of they can venture out. They can return for as long as they wish. Food and water are provided until the last of the group is no longer returning for food. 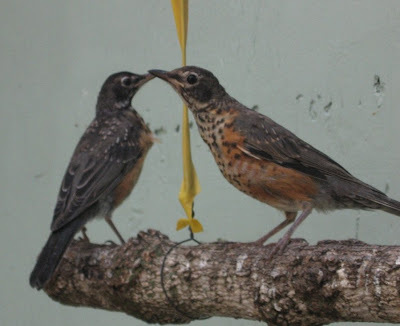 In this way we give the young birds a chance to learn about the great outdoors slowly if that is what they need. They can and most do hang around for a week or more especially coming back in the evening to take advantage of a predator proof roosting site and some free grub. Once they leave the area and connect up with others of their species for migration we know we will not see them again until spring. It makes spring even more exciting as we wait to see who comes back to visit and when. We wish we knew exactly where they went and what adventures they had during the winter. We have been through good times and harrowing times with them even in their short life. It is a bit like packing your kids off to college, we are all ready to see them be on their own. Many thanks to Katie, Alberta and Nicole for getting such great photos.